"Puppy." 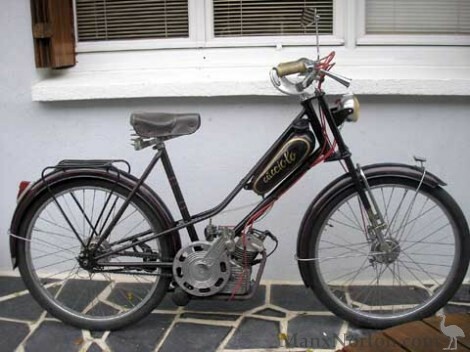 By 1946, the rights to Cucciolo production had become exclusively Ducati's. made removable and the drive mechanism made more accessible, the cylinder head was modified, and the rating was raised. The Ducati Cucciolo is the Rolls Royce of cycle-attachment engines. And as Ducati only started making their own motorcycles in 1948, this rare example is one of the first.